We live in turbulent times. One day, the market decides to post its worst Christmas Eve performance ever. Two days later, the Dow Jones Industrial Average posts its first-ever 1,000 point rally. Such is the nature of volatility. Up big one moment. Down big the next. For long-term investors, this volatility is little more than noise. But for short-term traders, there is opportunity in this noise. This extreme volatility often results in huge dips that push stocks into near-term oversold territory. Those dips are worth buying. On the other end, the extreme volatility can also often result in huge rallies that push stocks into near-term overbought territory. Those rallies are worth selling. As such, for short-term traders, this is simultaneously a “buy the dip” and “sell the rally” market. With that in mind, and with the market still flirting with bear-market territory, let’s take a look a 10 oversold stocks that are due for a bounce. 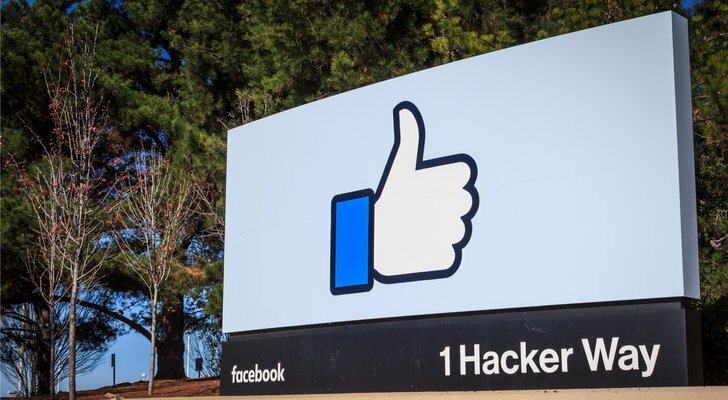 The problems plaguing Facebook (NASDAQ:FB) started much earlier than the broad market sell-off in October. Indeed, Facebook stock peaked in late July. 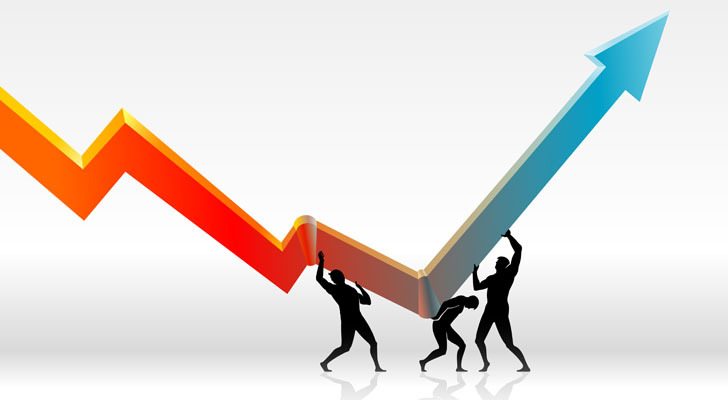 All this recent sell-off has done is exacerbate what are very fixable problems and create a compelling buying opportunity for investors and traders. The fundamentals underlying Facebook stock remain very strong. There are lots of concerns about bad press, usage, regulation, and the overall health of the company’s digital advertising business. But, all that really matters here is users and advertisers. Users are still going up. Advertisers are, too. Thus, the digital ad business looks well positioned to surprise investors with healthy performance over the next several quarters, and upside performance herein should drive FB stock higher. On a technical basis, Facebook’s Relative Strength Index (RSI) has spiked recently, but, it has spent a great deal of time flirting with sub-30 oversold territory in late 2018. Most dips down to oversold territory have resulted in quick albeit unsustainable rallies. Nonetheless, for short-term traders, the signal here is for the RSI to drop back to below 30. That is the near-term buying point in this oversold stock. 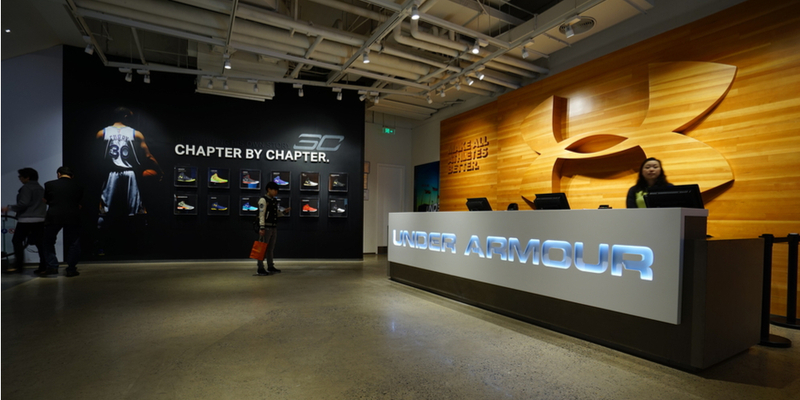 Athletic apparel company Under Armour (NYSE:UAA) actually had a good 2018. UAA stock gained more than 22% through the year, powered by stabilized growth in the North America business and an improving margin profile. But a disappointing Investor Day which included unexciting five-year targets has resulted in a 27% sell-off in UAA stock over the past month. The fundamentals here aren’t great, but they aren’t that bad either. The athletic apparel space is red-hot, but also ultra competitive. You have Nike (NYSE:NKE), Adidas (OTCMKTS:ADDYY), Skechers (NYSE:SKX), and others going after the athleisure market with varied success. Under Armour has had perhaps the least success with athleisure. Consequently, the company is forgetting about that market, and doubling down on its performance emphasis. While this move eliminates the potential for huge upside in UAA stock through limiting the addressable market, it also creates a pathway for steady and healthy growth in its core performance market. At current levels, UAA stock is undervalued considering that healthy growth pathway, implying room for a fundamentally driven rally in 2019. On a technical basis, the recent sell-off has plunged Under Armour into oversold stock territory with its RSI below 30. Indeed, today’s RSI is the lowest it has been since late 2017. Back then, UAA stock was bottoming after a huge sell-off. A similar dynamic could be playing out this time around. 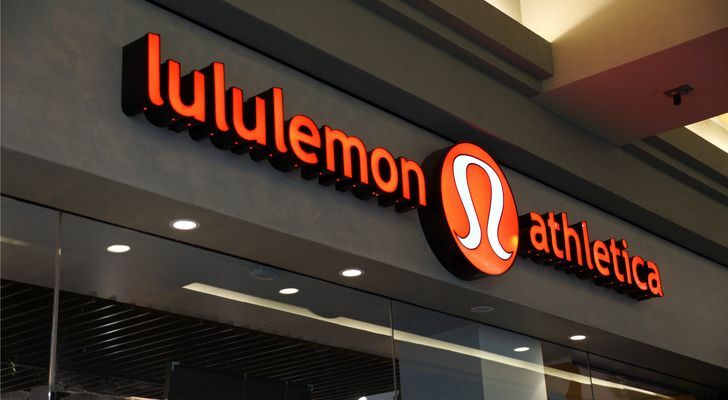 Staying in the athletic apparel space, perhaps the hottest name in the whole category has been Lululemon (NASDAQ:LULU). Powered by several consecutive quarters of near-20% comparable sales growth and improving margins, LULU stock has risen more than 50% this year. But, at one point in time, LULU stock was up essentially 100% year-to-date. The fundamentals don’t support the recent 25% sell-off in LULU stock. The Street is concerned about what was a tepid fourth-quarter guide that called for comparable sales growth deceleration from ~20% in the prior three quarters to ~10% in the holiday quarter. But it looks like management just sandbagged the guide. This was a record holiday season for retail, and Lululemon appears to be at the center of this record season. As such, fourth quarter numbers should surprise investors, and power LULU stock higher in early 2019. From a technical standpoint, LULU stock isn’t oversold right now. But, with the RSI hovering around 50, it is just one big drop away from falling into oversold stock territory. In this turbulent market, a big drop could happen any day. Investors should be ready to buy that dip. In big tech, few stocks have been hit harder than e-commerce and cloud giant Amazon (NASDAQ:AMZN). Once thought to be the unstoppable poster child of growth and momentum, Amazon stock briefly hit the $1 trillion valuation mark in mid-2018. Then, things started to fall apart. Amazon stock has since shed as much as 34%. 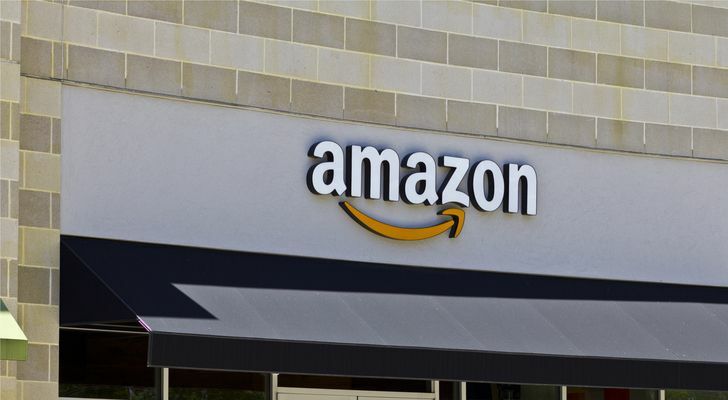 Despite the huge sell-off, the fundamentals supporting Amazon stock remain favorable in a long-term window. There are a myriad of growth drivers, each of which present multi-billion-dollar growth opportunities for the company over the next several years. Despite slowing growth, Amazon still dominates e-commerce, and judging by e-commerce’s near 20% growth this holiday season, this whole space still has a ton of firepower left for further growth. Meanwhile, Amazon also dominates the cloud, which is a secular growth market that could actually see growth accelerate during a slowdown as enterprises try to cut costs. There’s also the digital advertising business, which is growing by 100%-plus year-over-year, and the nascent hardware and AI businesses. Pus, you have the offline retail business, the logistics business and the pharmaceutical business. Between all of these growth verticals, Amazon stock still has a enough growth firepower to justify a premium valuation. On the technical side of things, you have a stock which has plunged 30% in a hurry. The stock is oversold. Sentiment is poor. Trading action is bearish. But, the fundamentals remain strong, and this divergence can’t last forever. Big tech has been hit hard during the market sell-off. So has big retail. Alongside a sliding retail sector, retail giant Target (NYSE:TGT) has dropped 30% off its highs over the past several months. In comparison to the fundamentals, this sell-off seems grossly overdone. Target has reinvented itself as a omni-channel retailer with a stable offline business and a red-hot online business. The company is also doing everything right on the product and pricing fronts to make sure that their stores are relevant to the American consumer. As such, Target has put itself in a position such that so long as the U.S. consumer is healthy, Target will put up good numbers. There have been fears on Wall Street about a slowing economy, but such fears haven’t hit Main Street. The U.S. consumer still has sky high confidence and bullish sentiment, is getting paid more than ever, and spent a whole bunch more this holiday season. Thus, the consumer is still strong, meaning Target should still be strong, too. On the technical side, Target stock’s RSI has dropped to near-oversold territory, and is just one big drop away from being in oversold territory. That just doesn’t make sense given that the company is reporting decade best numbers against the backdrop of an extremely healthy U.S. consumer. As such, this disconnect should fix itself in 2019. That fixing process will push Target stock materially higher. Back in the big tech world, one of the biggest losers during the recent sell-off has been streaming giant Netflix (NASDAQ:NFLX). A combination of macro headwinds (slowing global growth and trade war headwinds) and micro headwinds (increasing competition and rising rates on a debt-loaded balance sheet) have dragged Netflix stock 35% lower since July. While a correction in Netflix stock was needed and warranted given escalating headwinds, a 40% sell-off seems to overstate this company’s risks while understating its growth potential. At its core, Netflix is a streaming giant who, through a portfolio of compelling original content, has built a moat to withstand rising competition. As such, the only thing Netflix needs to keep growing at a healthy rate is continued global adoption of streaming services. This should happen, even in a slowing economy, because streaming offers a plethora of cost and convenience advantages. 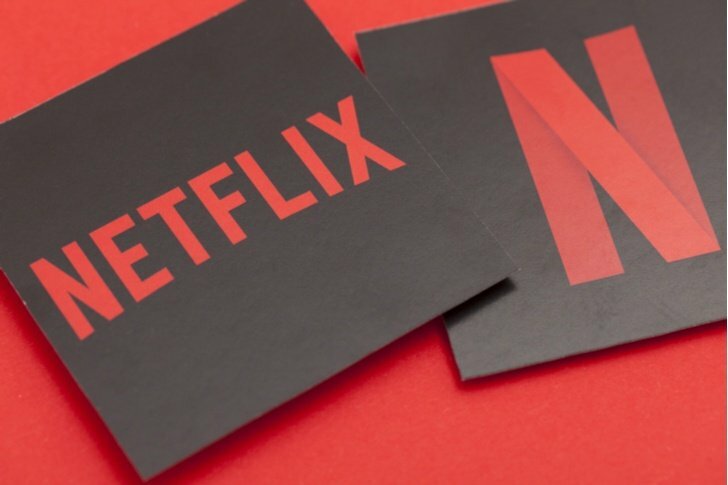 Thus, even if the global economy comes to a screeching halt in 2019, Netflix should still be able to grow its sub base at a healthy rate, and that should ultimately power NFLX stock higher from today’s depressed levels. With respect to the technicals, NFLX stock is teetering on the edge of oversold territory. Drops in the RSI to 30 have historically been near term bottoms. This stock is just one big drop away from the RSI hitting 30. As such, this stock is just one big drop away from yet another near term bottom. 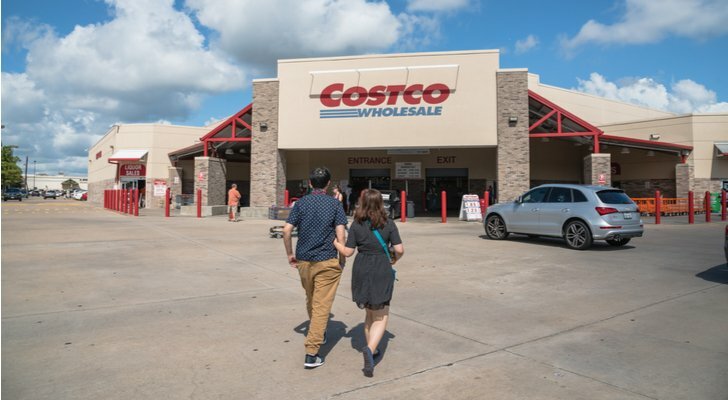 No one has been spared in the recent market sell-off, not even stable growth giant Costco (NASDAQ:COST). Over the past decade, Costco stock has dropped nearly 20% or more just twice. Once was during the 2008 Financial Crisis. The other time is today. From a fundamental standpoint, that doesn’t make much sense. Back during the 2008 Financial Crisis, unemployment rates were high and rising, the consumer was weak, sales at Costco were sluggish, margins were under significant pressure, and earnings were falling in a big way. You don’t have any of that today. Instead, unemployment rates are low and falling. The consumer is very strong. Comparable sales growth at Costco is as good as its been in recent memory. Margins are under pressure, but only fractionally so compared to 2008. Earnings are still rising. Thus, the fundamentals simply do not support a 20% drop in Costco stock. As soon as sentiment shifts, this stock should bounce back in a big way. Moreover, Costco stock has dropped into technically oversold territory (RSI below 30). This stock tends to do that only about once a year. Each time, such drops into technically oversold territory tend to signal a bottom, and Costco stock rallies in a big way off that bottom. 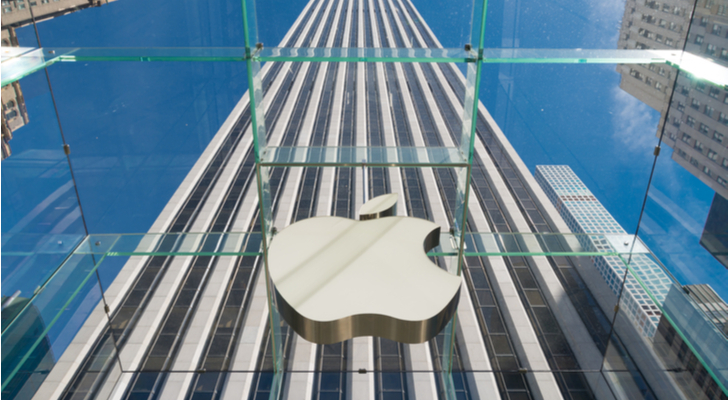 For a while, consumer electronics giant Apple (NASDAQ:AAPL) was impervious to the market sell-off. Then, the company reported sub-par numbers in early November. That was followed by rare and sizable guidance cut in early 2019. All together, Apple stock has shed nearly 40% in just a few months. The fundamental concerns here make sense. Everyone is worried about “peak iPhone” with global smartphone demand drying up due to global saturation and emerging market weakness. Indeed, the main culprit behind Apple’s big first quarter guidance cut was slower-than-expected iPhone sales in China. That’s a big deal. The iPhone still represents about 60% of Apple’s revenues, meaning that roughly 60% of Apple’s business is stalling out. But, the other 40% is red-hot. Non-iPhone sales in the first quarter rose nearly 20%, led by robust growth in the Services and Wearables businesses. These businesses will keep growing because Apple’s installed based is only getting bigger. The iPhone business will keep stalling because global smartphone demand is drying up. That combination should be enough to power decent high single digit to low double digit earnings growth for the foreseeable future. That level of growth, coupled with a paltry 10X forward earnings multiple, should produce attractive returns from here. Technically speaking, it looks like Apple stock is near a bottom. There have been two big iPhone-slowdown drops in Apple stock over the past decade (2012-13 and 2015-16). On average, they wiped out about 35% of the stock’s value. Apple stock is hovering at a 38% peak-to-trough decline today. Thus, history implies that we could be near or at a bottom. There have been some big losers during the recent market sell-off. Then there’s Roku (NASDAQ:ROKU). The market’s recent 20% drop has not been kind to the streaming device maker. Once a red-hot company loved by investors and analysts alike, ROKU stock is now the opposite. In just three months, this stock has lost 57% of its value. This sell-off is overdone, and ignores Roku’s secular growth catalysts. This is a company which makes streaming devices which enable consumers to watch a myriad of streaming services. The simplest way of understanding Roku is as the cable box for the streaming world. Granted, this space has a ton of competition and mostly everyone already has smart TVs. But, Roku is already the market leader with runaway 40% share in streaming players, and they are also the leader in the smart TV market with 25% share. Thus, all Roku needs to do to guarantee itself huge growth is robust global growth from the streaming market. Considering there are over 4 billion internet users in the world and just 400 million streaming subscription subscribers, it looks like the streaming growth narrative will persist with great momentum for the foreseeable future. 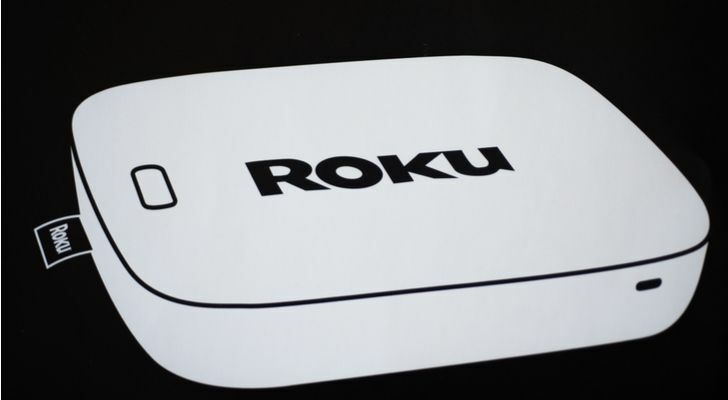 As such, Roku should sustain big growth. From a technical standpoint, ROKU stock is well into oversold territory with its RSI below 30. Such bearish sentiment simply won’t hang around forever in a stock has has strong streaming growth catalysts. Thus, this is one overwold stock that looks due for a big bounce-back in early 2019. 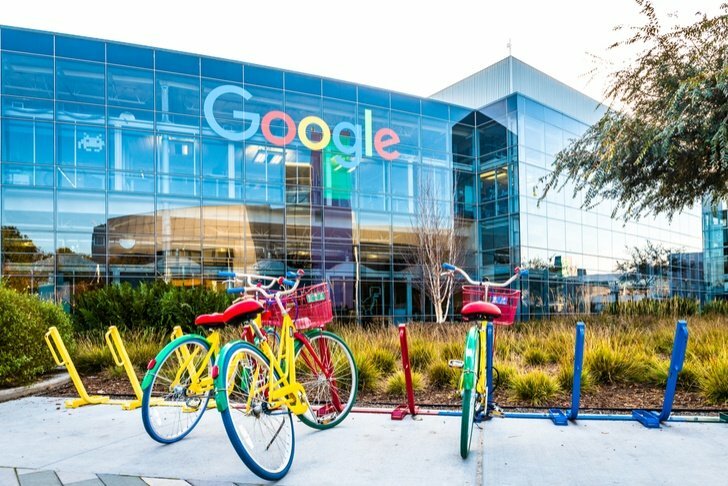 Of the widely followed FANG names, one has been significantly more resilient than the others during this late 2018 market sell-off: Alphabet (NASDAQ:GOOG, NASDAQ:GOOGL). While its FANG peers are 30% or more off their recent highs, GOOG stock is just 20% off its recent high. But, this stock is still in bear market territory with an RSI hovering near oversold territory. This weakness in GOOG stock should be perceived as an opportunity. This is a secular growth company that has established itself as the backbone of the internet. As such, so long as internet usage picks up globally, Google’s advertising business will continue to grow at a healthy rate. Plus, this company has plenty of additional and new growth drivers through the cloud, autonomous driving, smart home and hardware. Between all these growth catalysts, Alphabet has plenty of growth potential over the next several years. At a multiyear-low 20 forward earnings multiple, GOOG stock isn’t priced for this growth potential. From a technical standpoint, the $1,000 level is the critical level to watch. The stock has shown resilience around this level before. As such, dips to $1,000 should be viewed as buying opportunities for short-term traders. As of this writing, Luke Lango was long FB, UAA, NKE, SKX, LULU, AMZN, TGT, NFLX, COST, AAPL, ROKU, and GOOG. Article printed from InvestorPlace Media, https://investorplace.com/2019/01/10-oversold-stocks-due-for-a-bounce/.